Liam Neeson's face is melting in the new poster for Unknown The film stars Neeson, January Jones, Diane Kruger and Frank Langella. It was written by Oliver Butcher and Stephen Mark Cornwell based on the novel Out of My Head by Didier Van Cauwelaert. Karl Gajdusek did a rewrite. Yahoo has the synopsis: Dr. Martin Harris awakens after a car accident in Berlin to discover that his wife suddenly doesn’t recognize him and another man has assumed his identity. Ignored by disbelieving authorities and hunted by mysterious assassins, he finds himself alone, tired and on the run. Aided by an unlikely ally, Martin plunges headlong into a deadly mystery that will force him to question his sanity, his identity, and just how far he’s willing to go to uncover the truth. 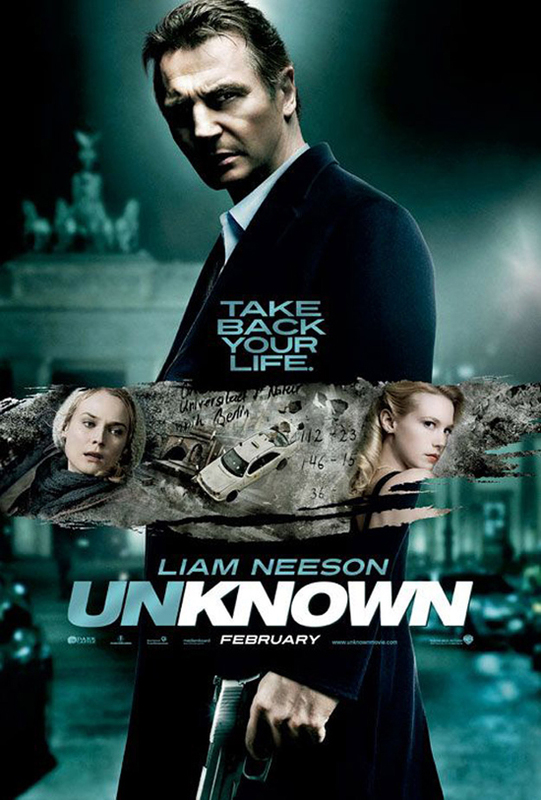 I'm reading: LIAM NEESON'S FACE IS MELTING IN THE OVERTLY PHOTOSHOPPED POSTER FOR [UNKNOWN]Tweet this!